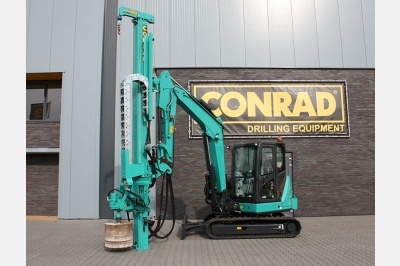 1 December 2015 | De Jong Betonboringen contacted Conrad with the request to develop a drilling mast. This drilling mast must be capable to drill holes with a diameter of Ø 600 mm to the depth of 6 meter trough reinforced concrete. 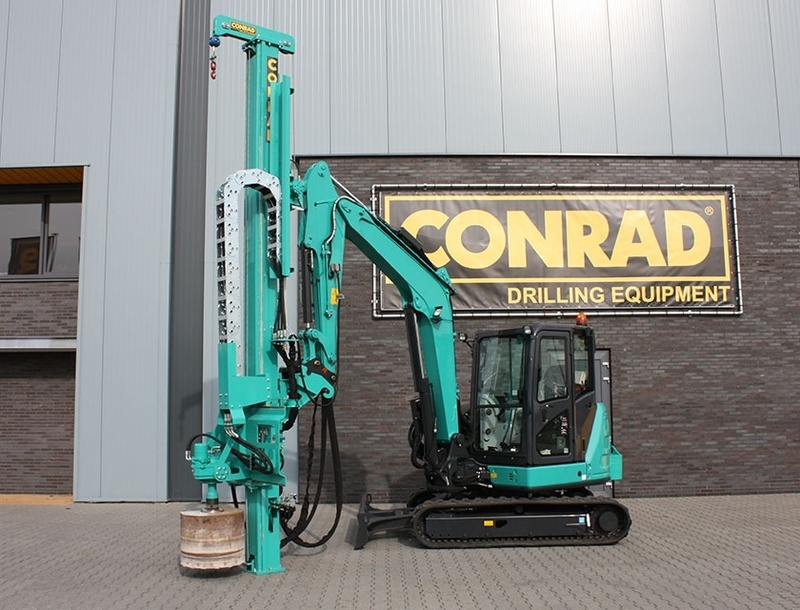 In the start of August this year the company De Jong Betonboringen contacted Conrad with the request to develop a drilling mast. This drilling mast must be capable to drill holes with a diameter of Ø 600 mm to the depth of 6 meter trough reinforced concrete. Conrad developed a SBM 4.0 C drilling mast and it has already completed the first projects. The SBM 4.0 C drilling mast is equipped with a quick connection system in order to use the drilling mast and excavator separately. The drilling mast has a very precise weight on bit control to adjust the amount of pressure on the diamond bit. A support frame for anchoring the mast during drilling activities is also installed. This frame is adjustable to drill under different angles.